Do your Foot Massage Daily at Night and See Changes in your Body. You want to look younger, fresh ,relaxed , physically and emotionally happy, peaceful just have night foot massage and you will have best version of yourself with in night. Each organ system has nerve endings in the feet, hands and ears that give you relaxation and calmness. Now the organ system is also called a zone and hence the therapy “zone therapy”, these help in proper functioning of body. By applying pressure with thumb or finger on specific areas helps in naturally healing process. This process of applying stimulus is called reflexology. Reflexology gives you depression free life and let your headache and body pain stay away from you. As it gives you emotional and physical support so you can enjoy your everyday life with no tension at all. As in this fast moving life , we face a lot of stress , work load , pressure with no time to get relief and making our life full of tranquility so doing foot massage will relief your body pain , improve working system of your organs , balancing your body pressure and making your nerves to do best. But for this you need to keep your foot clean. For this you have to move your thumb or index finger in circular movement applying pressure, do perform this task 3 times, move around a small circle and don’t try to rube it hardly, as it may damage your skin tissues. Thumb press improve the functioning of specific organ system. Wash you foot in warm water and then make them dry. You need to place your thumb on required reflex point with slight pressure, and rotate your foot with other point by this you relax Diaphragm, solar plexus area and adrenal glands. Follow this technique for few minutes. Do this like massage , you need to apply oil for rub down as it give extra relief and drink a cup of water, as reflexology release toxins from your body. Reflexology relives headaches and body pain and helps in reducing depression symptoms. 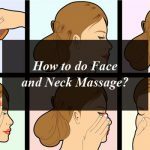 How to do Face and Neck Massage?